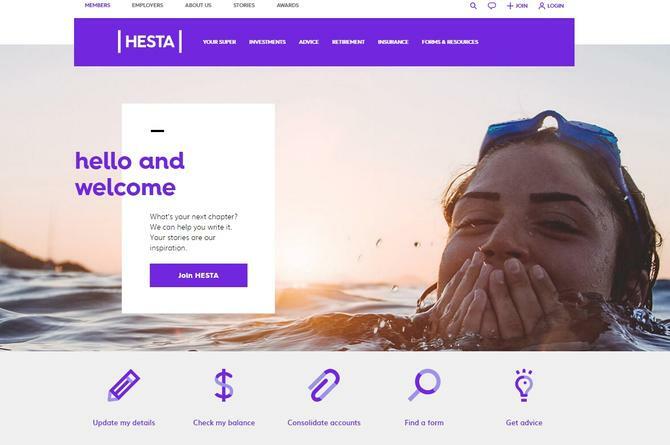 Industry super fund, HESTA, has taken the wrappers off its new mobile-friendly website redesign aimed at boosting its digital presence and delivering a more engaging experience for members. Launched by creative technology agency, DT, the website redesign occurred at the same time that Hesta conducted a major brand refresh, and uses the new colour palette and visual elements of the new brand. HESTA executive of marketing strategy, Lisa Samuels, said the site was part of a wider strategy to find the most effective and efficient way to communicate with its members and stakeholders through new digital channels. With Web and mobile use changing at such a rapid pace, Samuels stressed HESTA needed to adapt with it, or risk being left behind. “Our members were telling us that they expected us to be as easy to deal with as other online experiences,” she said. “We needed a digital platform that could deliver personalised and relevant experiences to each and every user. The website is HESTA’s primary brand welcome, with over 2 million unique engagements a year. DT Melbourne’s Alisia Muscat said the new website was the result of extensive research, testing and design to produce a site that helps deliver on HESTA’s core goal: To improve the retirement of every member. Samuels anticipated HESTA would continue to look for new and better ways to retain and attract members and foster deeper relationships within health and community services.